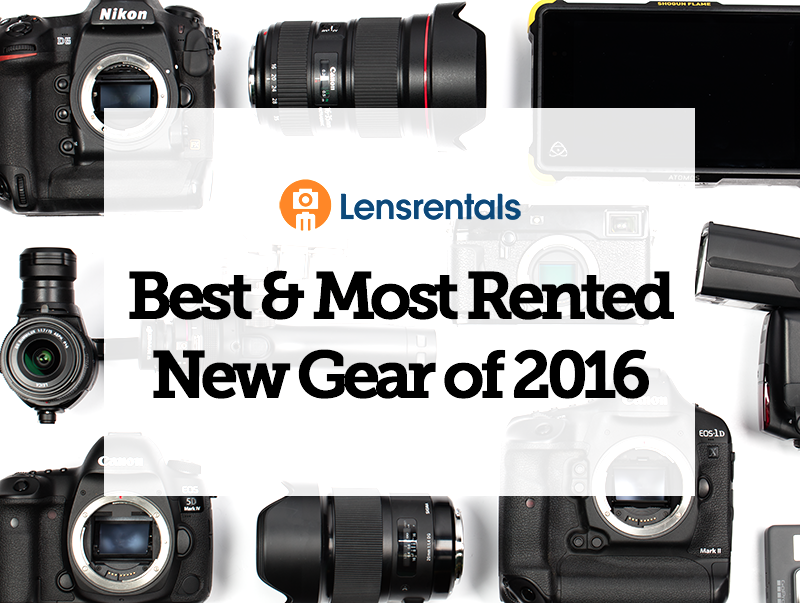 2016 was an exciting year here at Lensrentals.com. With dozens of new products from all different types of companies, we’ve been introduced to a lot of really incredible new tech to help us do our work better. Each year, as a tradition, we celebrate these new products, by sharing with you the best and most popular gear that we rented out for the year, while also offering our insight and knowledge as to what excited each of us individually the most. By now, you know the format, so without further adieu, let’s get to the top 20 list of gear we rented for the calendar year 2016. Please note that this list is just of the new items from this past year. We went back and forth deciding if we should also show off the most rented gear from 2016, but the reality is that list wouldn’t be nearly as interesting. It’d be a lot of 24-70mm lenses and other very popular lenses and camera bodies rented not necessarily for their interesting features, but for their practicality. We decided that new gear would bring more talking points to our customers, and as a result, we’ve gathered a list of the most popular new items from 2015. However, as mentioned above, the top 20 isn’t the most important aspect of this discussion, as we also have an entire staff of people who inspect, review and use this gear on a daily basis. So we also decided to ping their insight, and get their opinion on what they’re most favorite piece of new gear from 2016 is. If I have to pick one thing that came out in 2016 as my favorite, it’ll have to be the Nikon D5. I’d been a Nikon shooter for years before working here at Lensrentals, and I’ve always loved how their bodies handle. The D5 brought with it another bump in AF performance, noise control at high ISO, and speed with those dual XQD card slots. I shoot a lot of roller derby, and this camera just makes that experience a breeze. I even like the altered button layout! I hardly ever change exposure modes, but ISO does get altered a bit so that button shuffle was a nice swap for me. The top of the line Nikon body is just that, top of the line, and it’s wonderful. There some things that are awesome because they’re the only one like it, which is why I chose the Sigma 20mm f/1.4 Art. This is the only good 20mm f/1.4 lens, and don’t bring up 24mm lenses – there’s a huge difference in the field of view. It’s a remarkable engineering achievement that this lens is not only unique, it’s optically excellent. The Osmo Pro isn’t something that would normally interest me because it throws up just about every red flag in the book. It’s kind of gimmicky, requires a smartphone to function, utilizes third-party lenses, and is made by a company with a history of cutting corners in order to lower costs. Normally that’s the kind of product we can expect to go out on a handful of initial rentals before presenting reliability problems and then sitting on the shelf losing money until the next shiny new whatever comes out (looking at you, Feiyu). All that said, even I can get caught up in gadget excitement, and this thing is just so cool. Image quality on the Micro 4/3 sensor isn’t perfect, but it’s a lot better than I’d expect out of a camera this size. Plus, paired with a smartphone and a focus wheel, it actually feels like the future. Put the Osmo Pro in someone’s hand, even someone who couldn’t care less about video production, and they’ll start pushing buttons. They’ll pan the camera around corners and track things through the room and take selfies because it’s FUN. I took a lot of equipment home this year. Some of it cost more than my car and college education combined, but nothing delighted my friends and family like the Osmo Pro. I still won’t use it on many paid gigs, but let’s call it my favorite conversation piece of 2016. I do a lot of traveling and I’m always looking for a camera that will give me beautiful images without weighing me down. This is why the Fuji X-Pro2 is one of my favorite cameras. It seems to handle anything thrown at it, whether its a sunrise over mountains, a dimly lit bar, or a dog playing fetch. Not only that, it comes in a sleek, low profile package that can go anywhere. Like the X-Pro1, the retro feel of this camera makes it super fun to shoot with, and the huge boost in megapixels and AF speed makes it a great option for professional shooters. The Canon 1DX Mark II is the easy choice for me as my favorite product of the year. The amount of reasons I love this camera is really too much to name, but in short, it’s the fastest camera I’ve ever used, with the fastest focusing I’ve ever seen. While designed as the ultimate sports camera, I’m always finding excuses to use it as my daily camera system. It’s blazing fast, and everything I’ve ever wanted from a camera system. Additionally, the camera comes with pretty decent 4K video capabilities, and incredible low light performance, along with C-Fast slot, allowing you to upload and download at speeds equal to an SSD. It’s big, it’s bulky, but it’s the best. It would stand to reason that a camera that gets updated every two years or so ought to make a major leap in order to be included on a year end best of list, right? Well, the GoPro Hero 5, as it turns out, is essentially a hybrid of the best features from their two Hero 4 models; LCD with touchscreen control, 12MP Photos, 4K video, 120fps HD video. The improvements include adding the option of RAW photos, more control over exposure settings, and a cool, yet gimmicky voice control feature. All of that gets thrown into a sleek new wrapper that does away with the need for the waterproof housing, but basically reads as, “time to update your accessories!” Still, the GoPro line of cameras maintain their status as the most inclusive cameras around, capable of capturing breathtaking footage, and taking us to places and experiences we might not otherwise venture. No matter how minor the advance was in this years update, the footage still soars, and that as far as I’m concerned, puts it on the list every year. One of my favorite products this year was the Atomos Flame recorders (Shogun/Ninja), just probably not for the reasons you might think. Sure the screen is great, and the price is good, but stability is what they really got right this time. Atomos has been around for a while now; in fact, we have carried no less than ten different recorders from them. They can usually be relied upon for providing great value for their asking price, albeit with some compromises; however, with last year’s introduction of their 4K recorders, we saw a big uptick in customer complaints. It had me worried about the quality of their products going forward. Fortunately, all seems to have been fixed with their new Flame recorders, thanks to some much-appreciated tweaks to last year’s design. As more customers become curious about external recording workflows, it’s helpful to have a low-cost 4K option that is reliable enough to recommend. So there you have it, the best new products for photographers and videographers for 2016. Please take a moment in the comments below to tell us of your favorite pieces of gear released this year, as we all get excited for what the new year has to offer. This was supposed to be the year when I could satisfy my heart’s desire; a full-frame, FAST, 20mm lens for Pentax K1 or Sony A7S that would give me LOW coma and astigmatism. I could not find one. Which new lens came the closest? While I can’t speak for Aaron, I’m pretty sure he’d be singing the praises of something Leica SL related. He’s in love with it. Well, I wish him and all his Lensrental coworkers a wonderful holiday. We asked for a contribution from him, but with the holidays, he just wasn’t able to find the time. 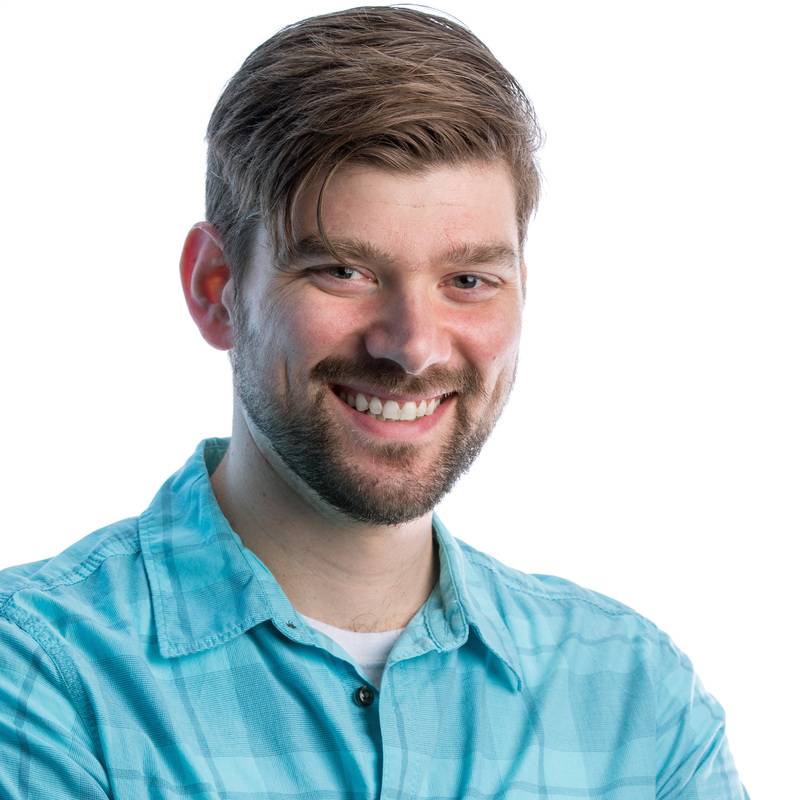 Should not Aaron get a voice as well? He has contributed more to making photographic gear understandable than most.